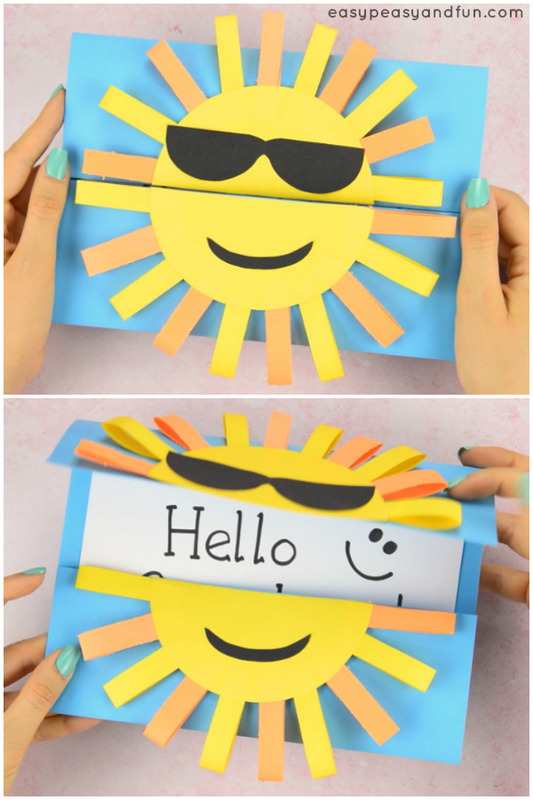 Say hello to summer with this super fun Sun DIY paper card. 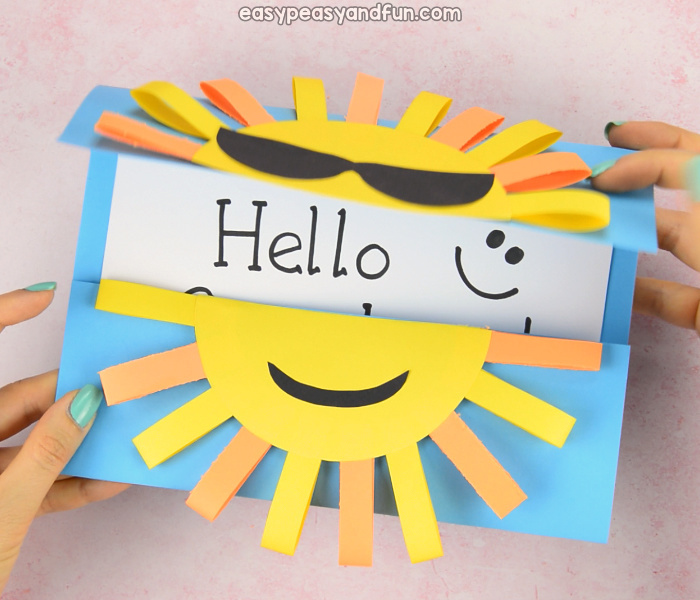 This smiley sunny face opens up to reveal a special message inside (hello sunshine seems like a perfect fit). 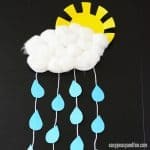 There are a number of ways you can decorate this sun craft too, so let the kids use their imagination. 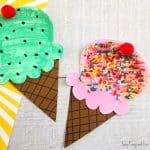 If you run a summer camp or just want to make a summer themed craft with your kids, this one is certainly a fun pick. 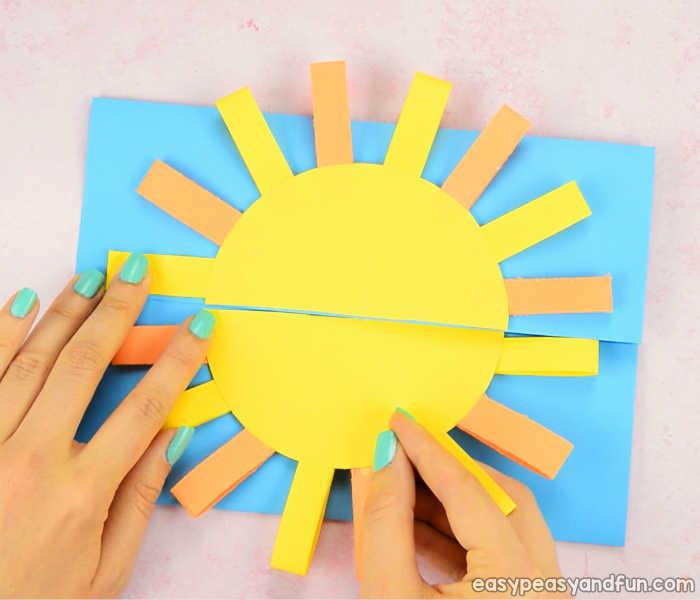 Great for fine motor skills and looks great when it’s finished – it makes for the best DIY summer greeting card ever. If you want to combine this with more sunny activities and be arty too do also check this sun and moon painting. 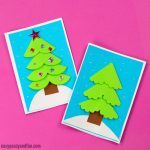 These two combined make for a great art and craft session and will send the boredom away! When the card is closed the sun will be shining. Open it up to reveal the greeting message inside. 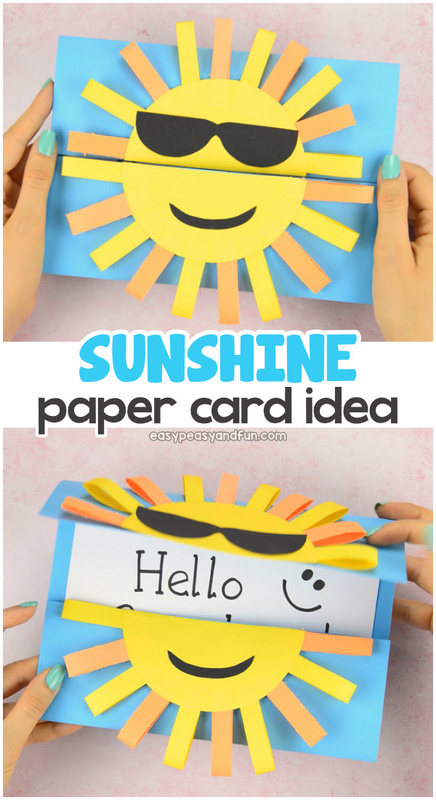 Start with a sheet (letter or A4 sized) cardstock paper. We used blue one as it’s the color of the sky or the sea, both working well for a summer project. 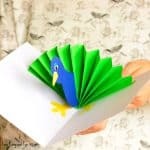 Fold a sheet of paper in half widthwise. Unfold – this marks the middle of the paper. 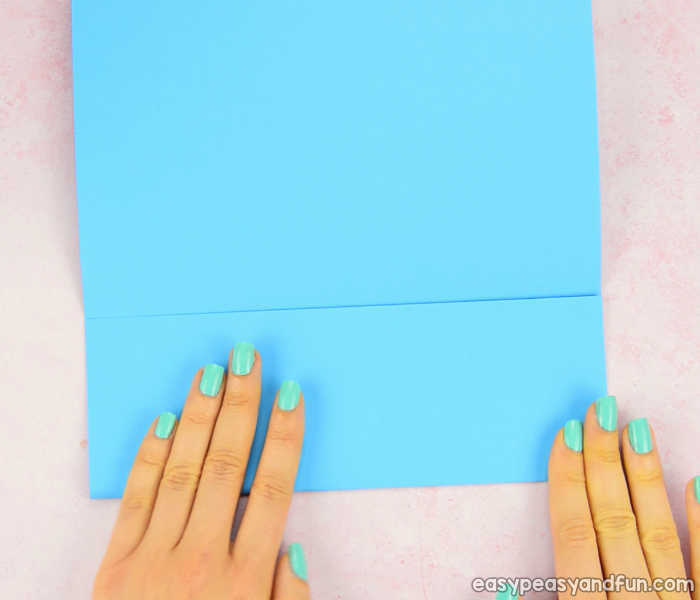 Now fold the “bottom half” of the paper in half widthwise – make the edge meet the center fold from previous step. Do the same with the other half. 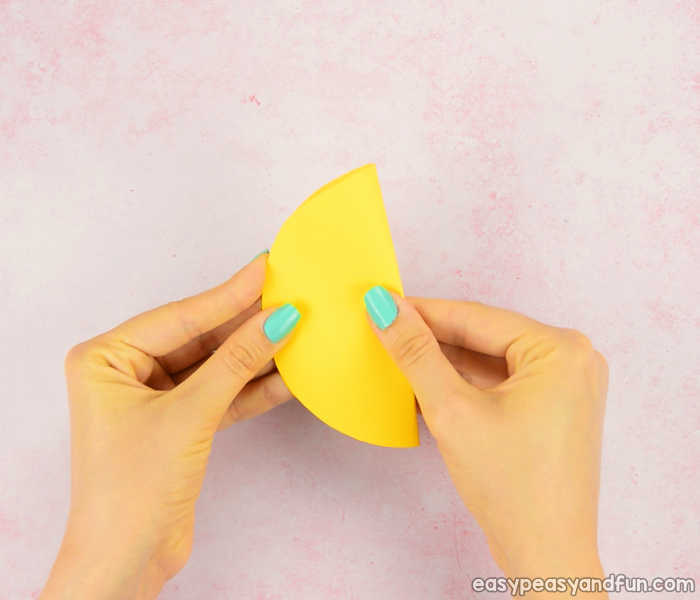 Make sure the folds are crisp and neat. 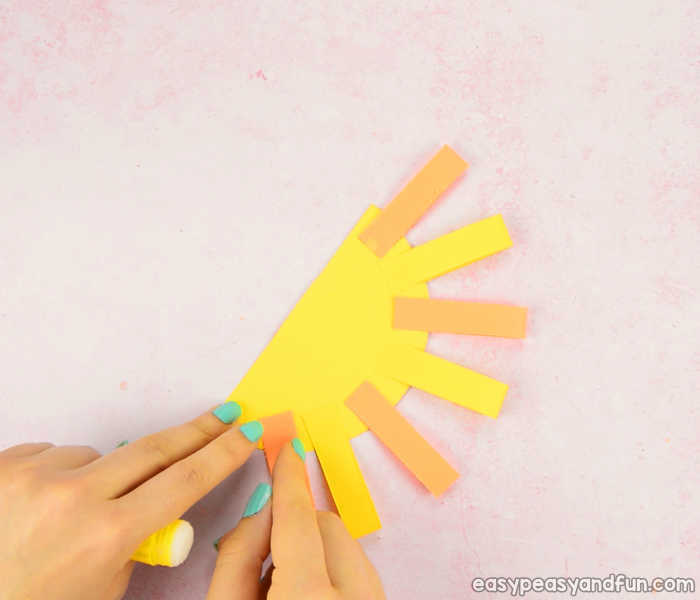 You can run a craft stick across the folds. 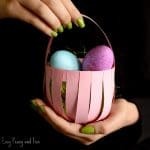 Grab a round object, that is smaller in diameter than the width of the folded card. 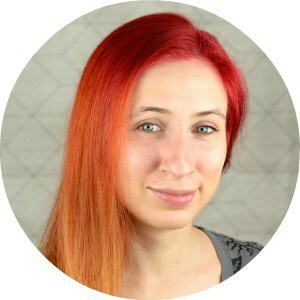 You will use this object as a stencil to make the circle. 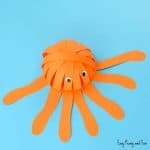 Once you found your object that is the perfect size, trace a circle around it on yellow paper. And cut it into two halves. 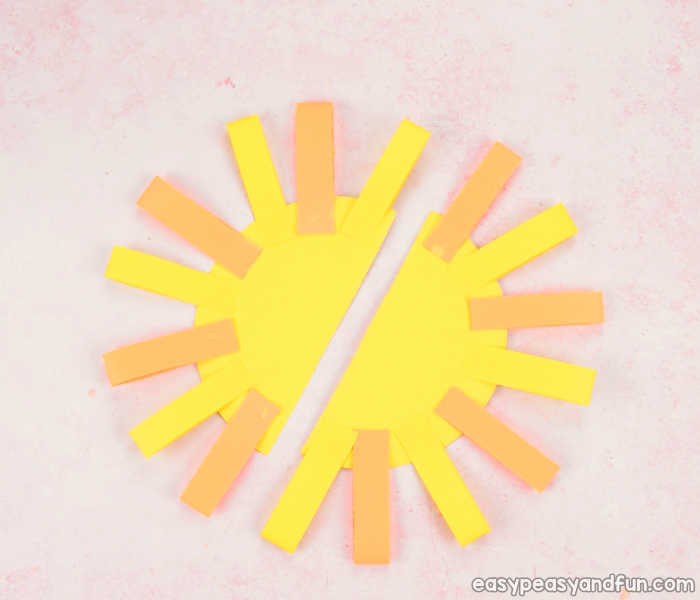 Cut thin strips of paper (ours were a pinky finger wide and cut across the with of a letter / A4 sized paper). 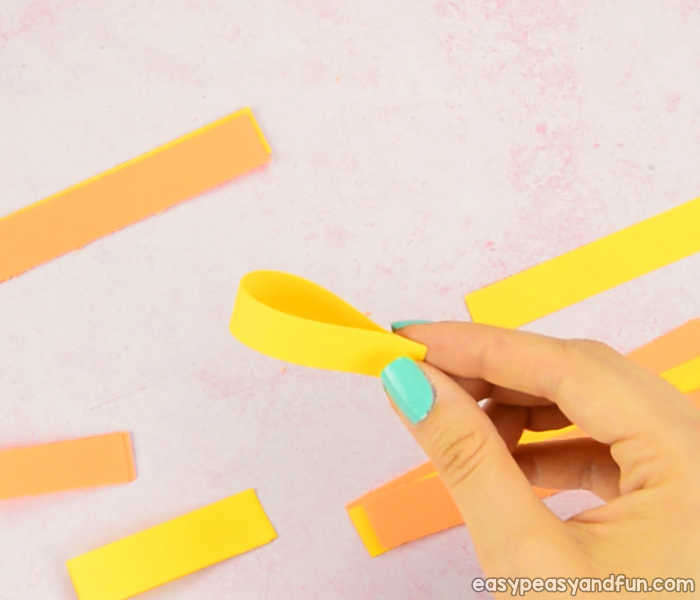 Use orange and yellow paper to add some variety. We cut those paper strips in half, as they were too long. 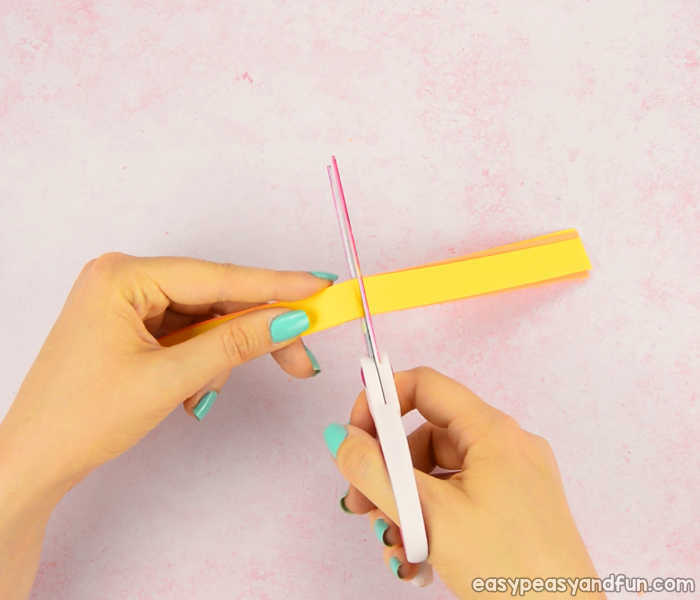 Glue the ends of paper strips together to make a loop. If working with younger kids, you can simply have them skip this step and just use paper strips. 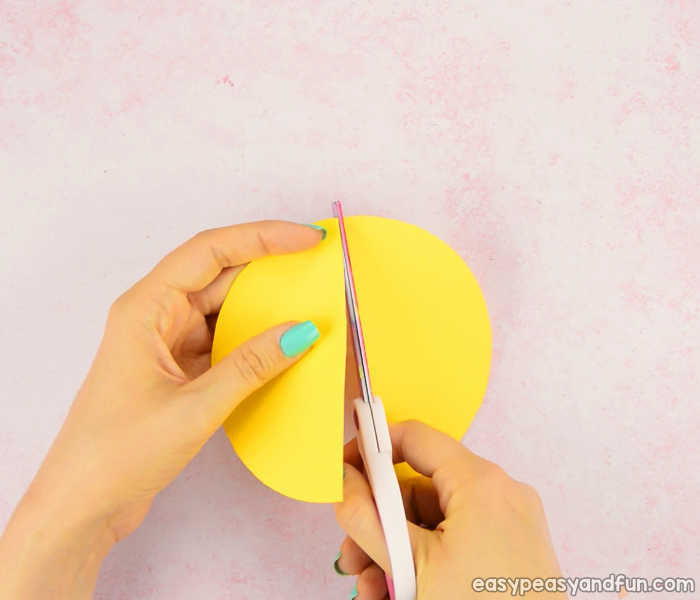 Glue the paper strips on half circles. 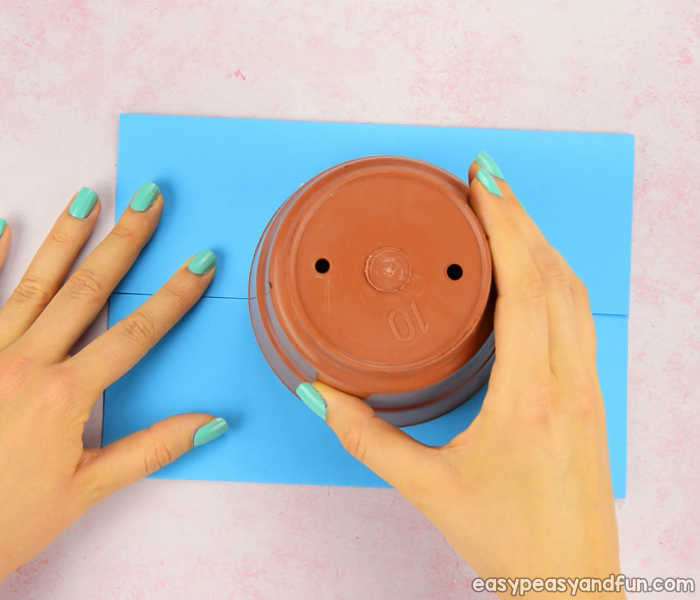 Glue the half circles on the card. 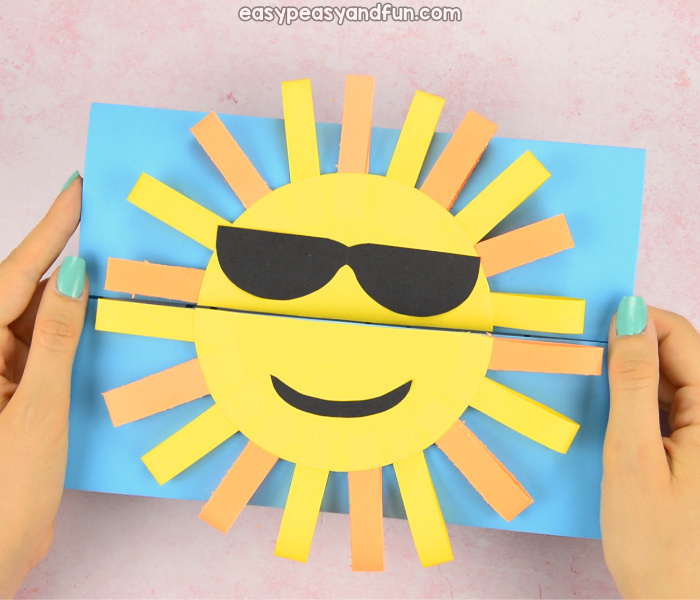 You can add a face (sunglasses look really cool on the sun) on your sun, either by cutting out the details from black paper or by drawing them with a marker. 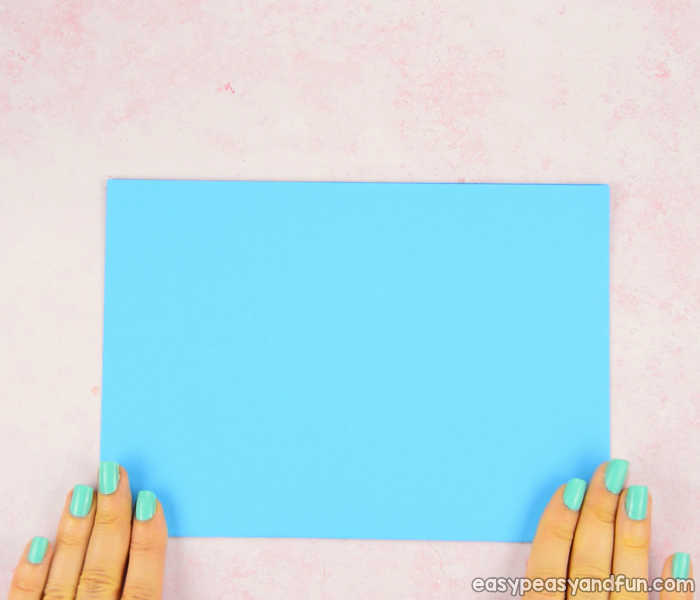 Insert a white paper rectangle and write your message.